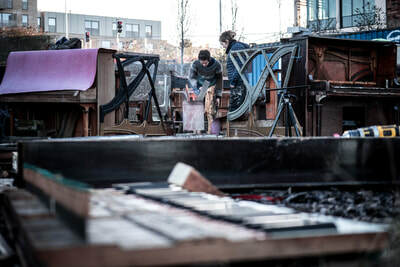 Photography, videos and blogging for the construction of the #Pianodrome, a 100-seater amphitheatre made entirely of pianos. 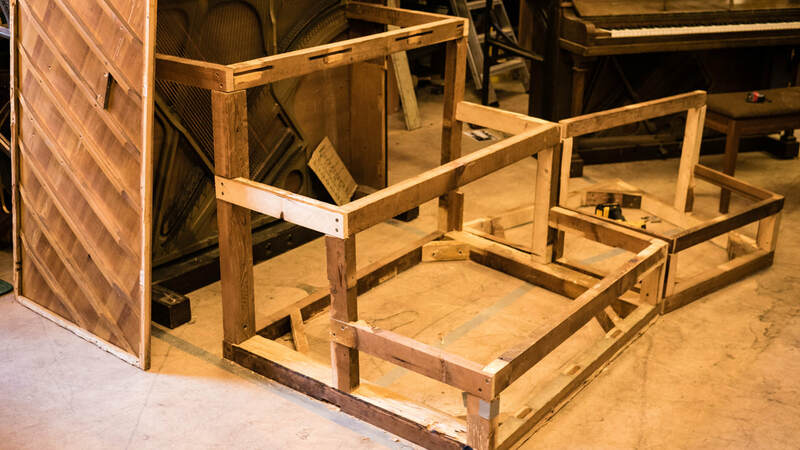 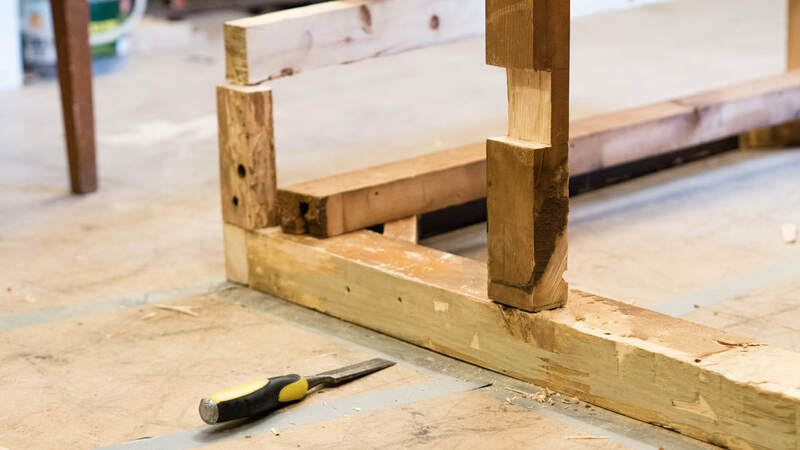 Welcome to the construction of the prototype Pianodrome seating wedge, the first of five which will become a brilliantly unique interactive sculpture destined for the Royal Botanic Gardens in Edinburgh. 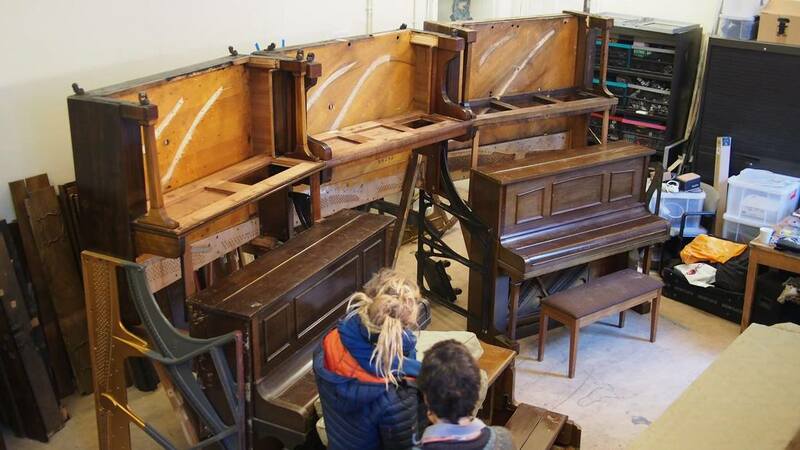 It's a 100-seater amphitheatre made entirely out of old pianos that will be a performance space, meeting place, creative hub, music venue and more. 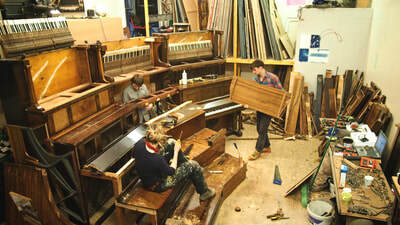 Every single part of the Pianodrome is a piece of history, dismantled and reformed – and I've been piecing together the documentation of the build process with my photos and videos, as well as writing blog posts for www.pianodrome.org. 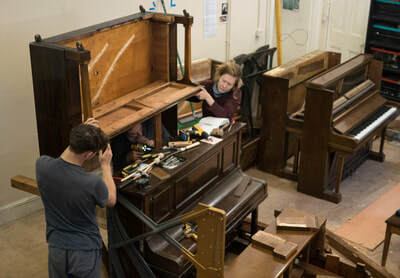 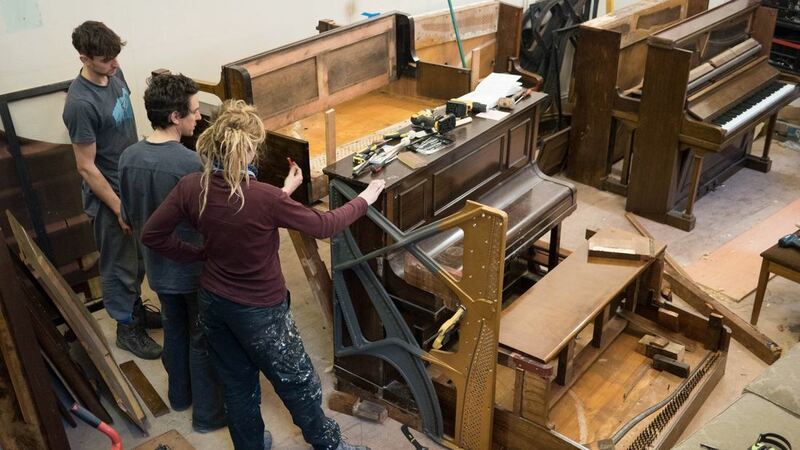 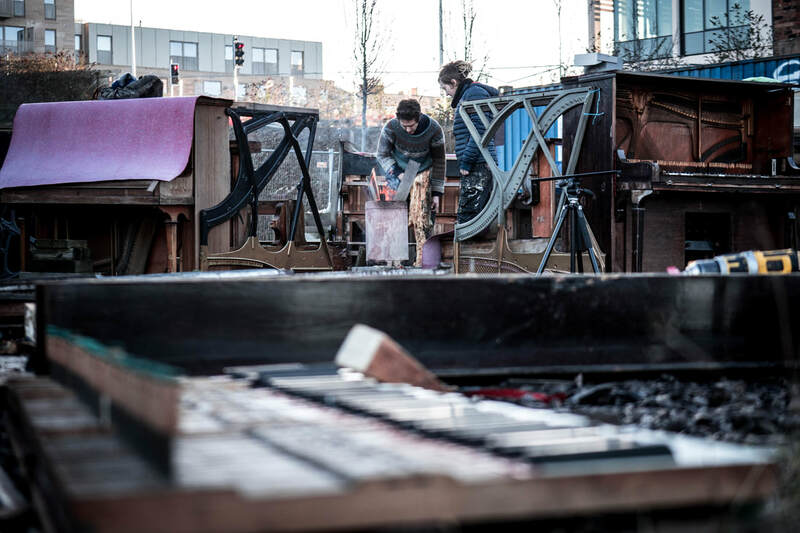 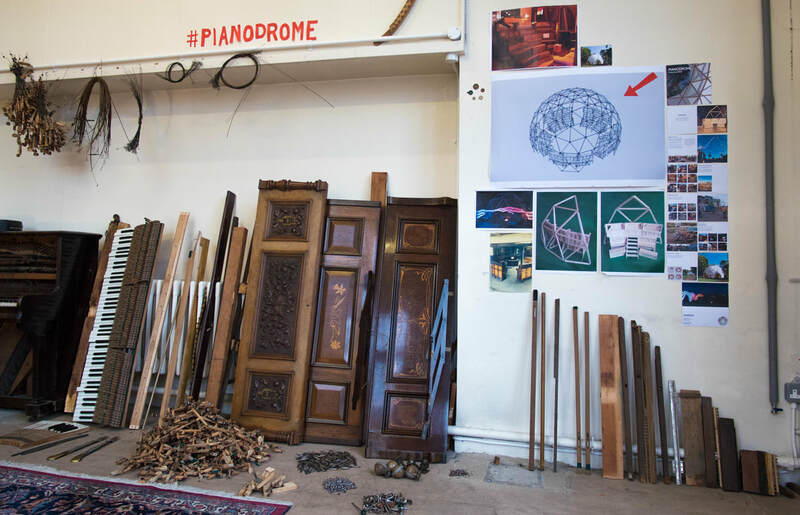 The whole concept, process and intention of the Pianodrome is to redefine what is broken, reclaim the unwanted, see and celebrate the beauty in craftsmanship and to create from disparate parts a new unity that can be shared by everyone... 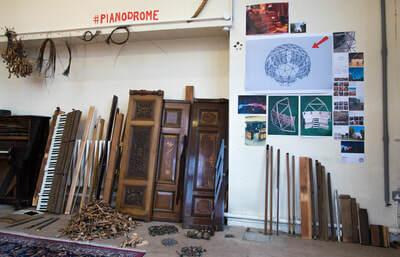 It could be a mirror of societal, psychological and cultural up-cycling: dismantled, examined, selected, arranged and put back together in a new and dynamic way. 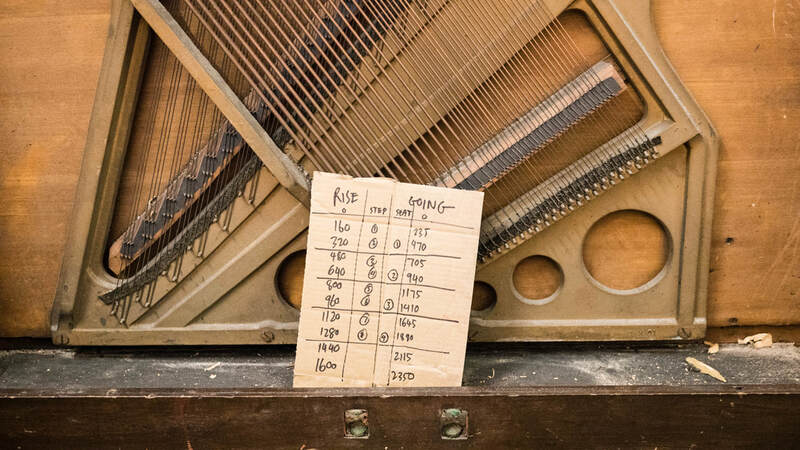 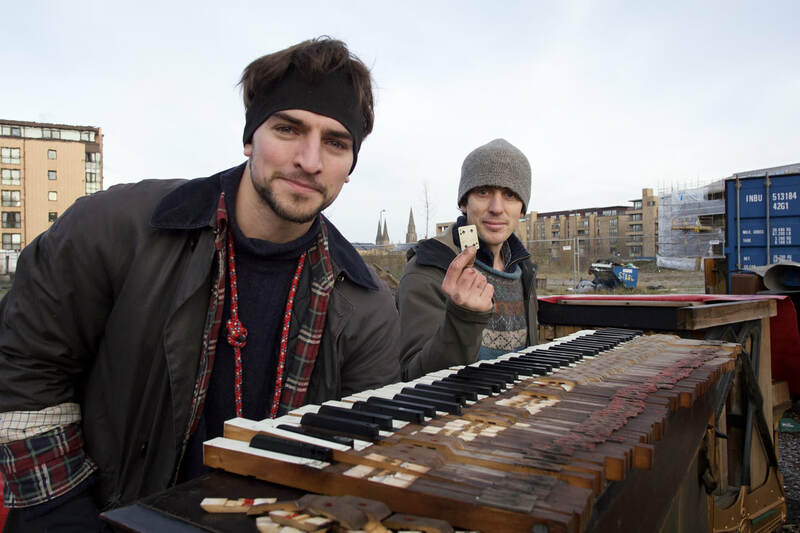 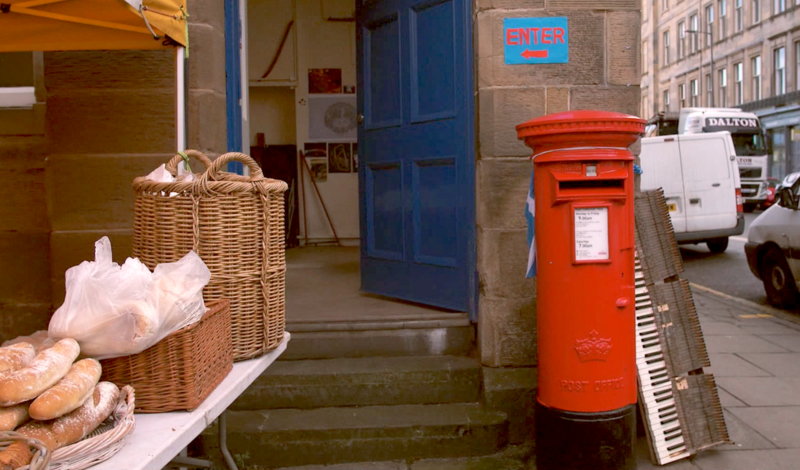 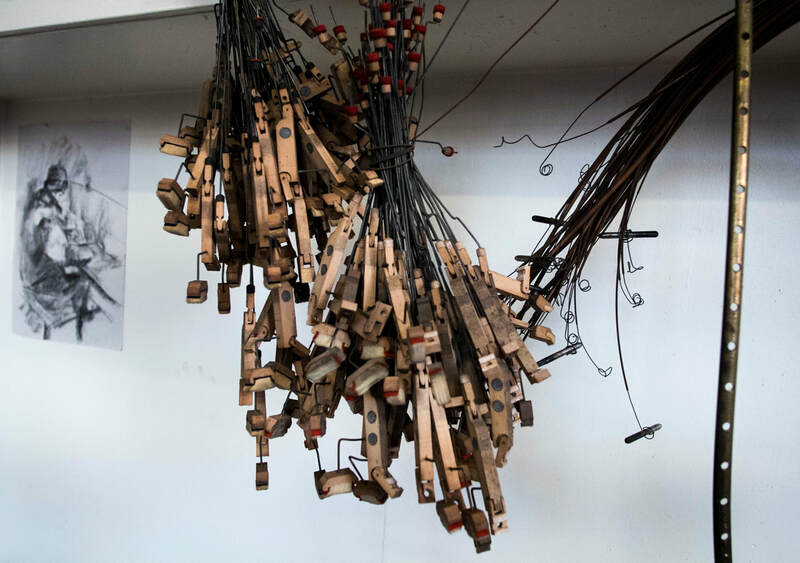 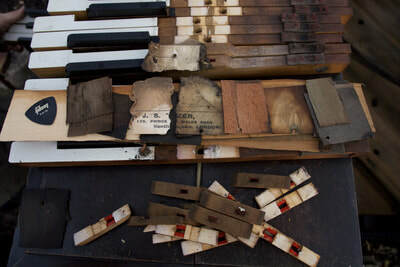 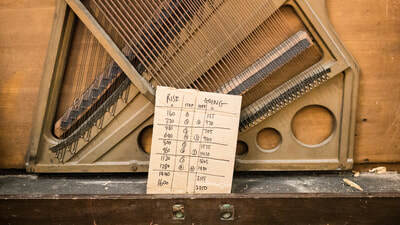 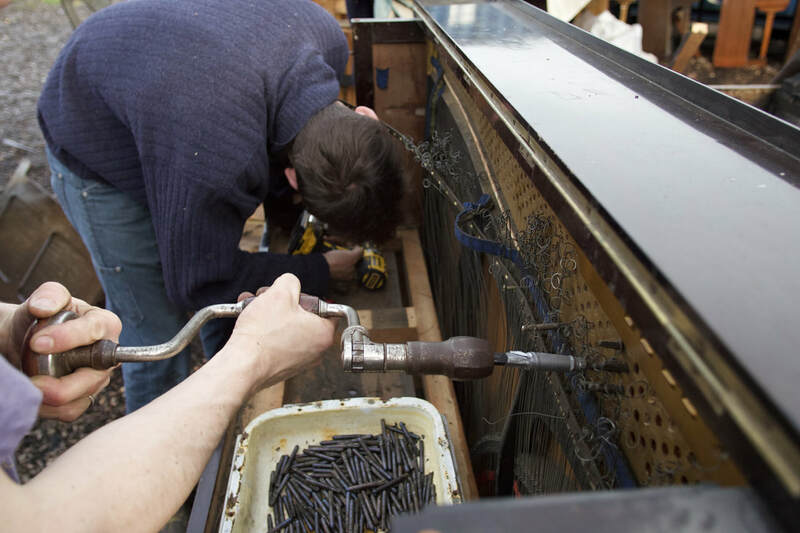 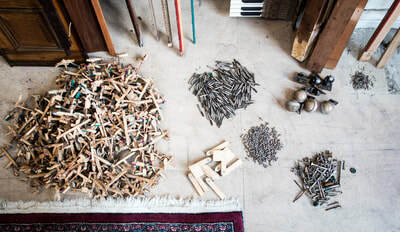 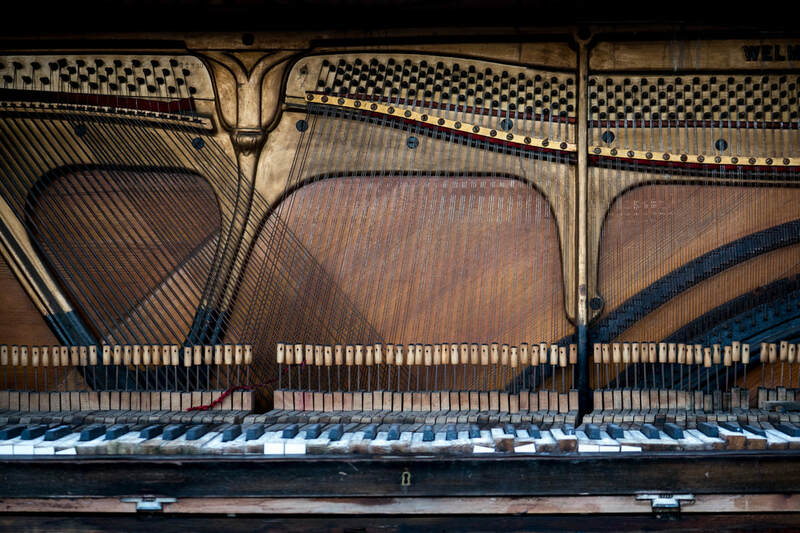 We found that not only did many of the pianos tell stories through various mementos left inside – old coins, address labels, torn up postcards – but each visitor to the Pianodrome build seemed to have a piano story of their own. Everyone is welcome to play the playable pianos, regardless of ability, and we are now open as a performance space! 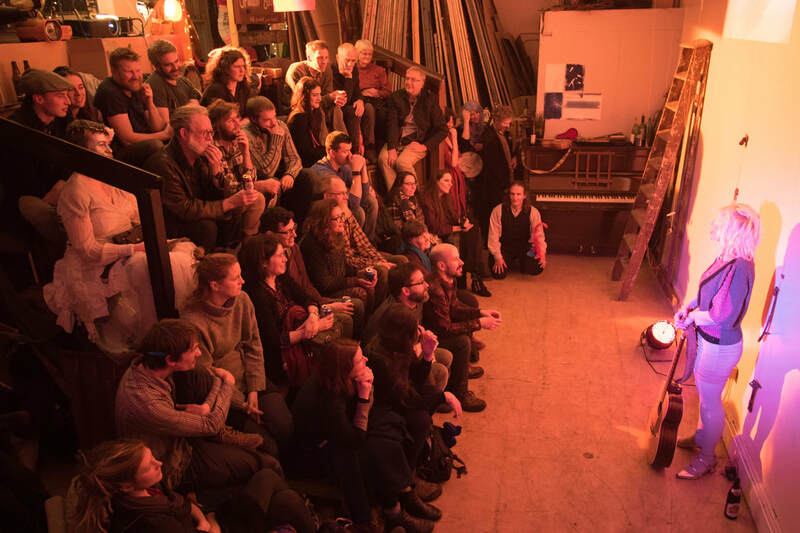 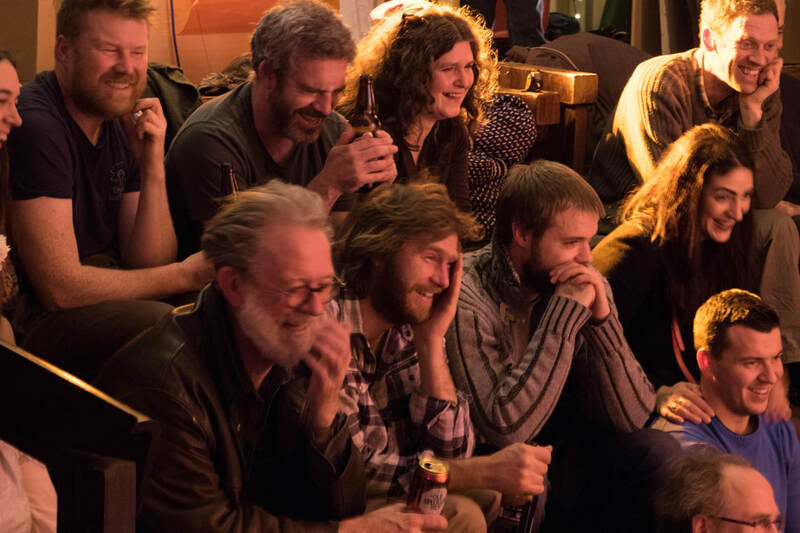 Already, there have been music events and open days, and throughout January, the Pianodrome will be hosting a series of life drawing workshops, dance and musical performances. 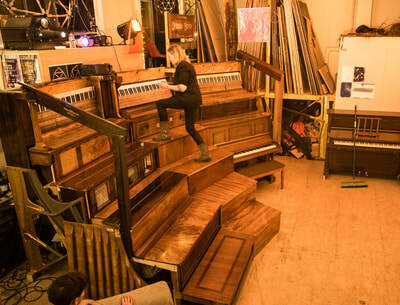 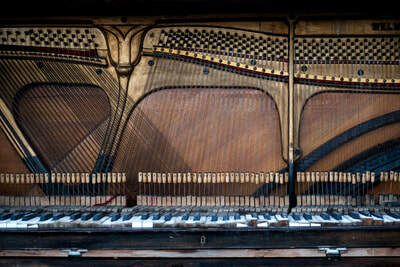 For updates, videos, blog posts and more, visit www.pianodrome.org and follow #pianodrome!